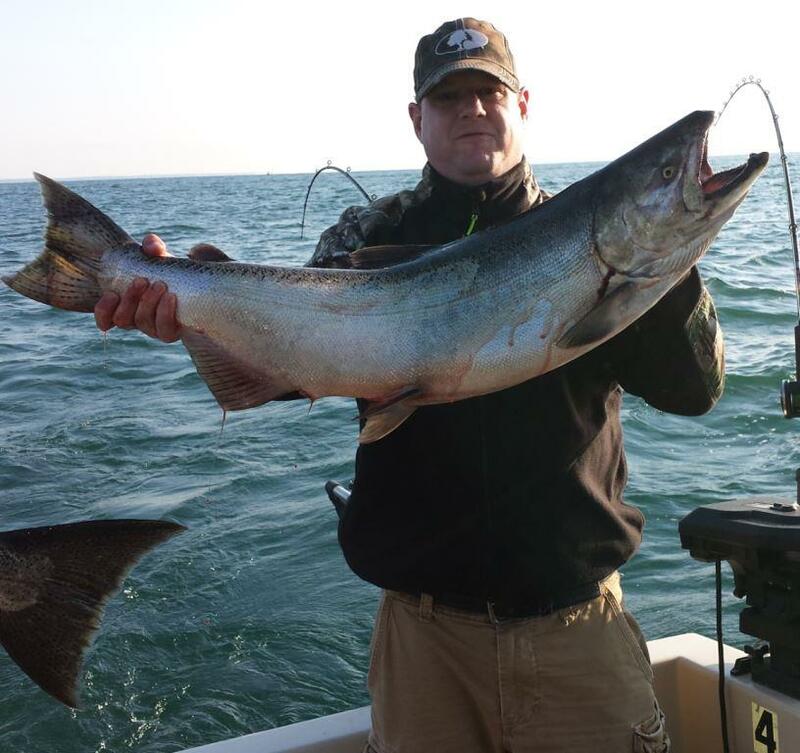 On Sat., Sept. 2nd, Nigel and his fishing buddies, Jimmy, Pete and Dave returned to Lake Ontario to fish the big boys. After chartering with the Milky Way for several years now, these "boys from New Jersey" as we call them, know when to book the Milky Way a year in advance. And once again, they picked a good day and lucked out with both a great day on the water and an even better day of landing Kings. Nigel, Dave, Jimmy and Pete wanted to stay on the Kings all day so the Milky Way worked the Henderson Harbor trench area and the results paid off as they went 8 for 10 on Kings! And once again, they have rebooked for the 2018 fishing season with Milky Way Fishing Charters!